What do you know about spring tea? Spring is coming near, more and more people in China flock to tea stores and tea gardens to snap up spring tea. 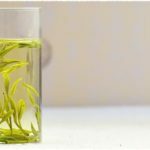 What is spring tea? How much do you know about spring tea? 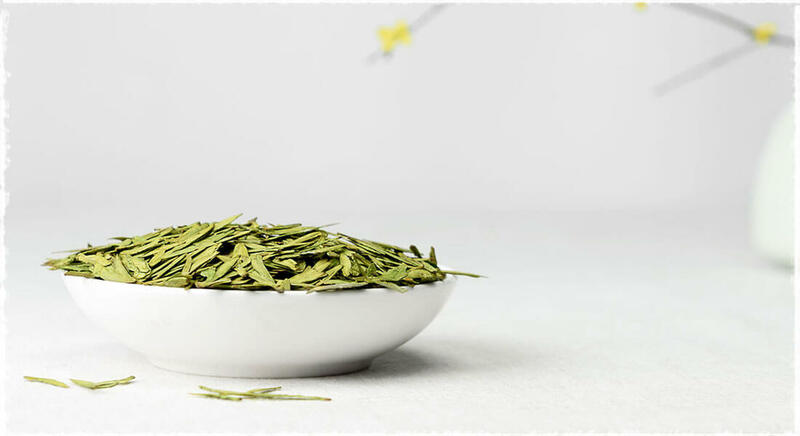 It is interesting for Chinese people to name their teas with four seasons; actually the division of four seasons has guiding significance for famers, including tea cultivation. If you had been to China, you’ve probably heard of spring tea, summer tea, autumn tea and winter tea, Yes, you heard right. But among them, spring tea has more border exposure when compared with others. 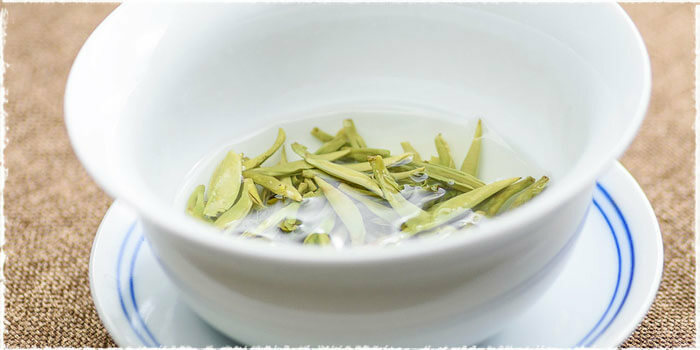 Spring tea is an umbrella term which refers to first batches of teas harvested in early spring. It’s not hard to understand that, after a recovery phase of nearly six months, spring sprouted leaves are abundant in nutrients such as vitamin, especially amino acids are believed to bring many good effects for drinkers. 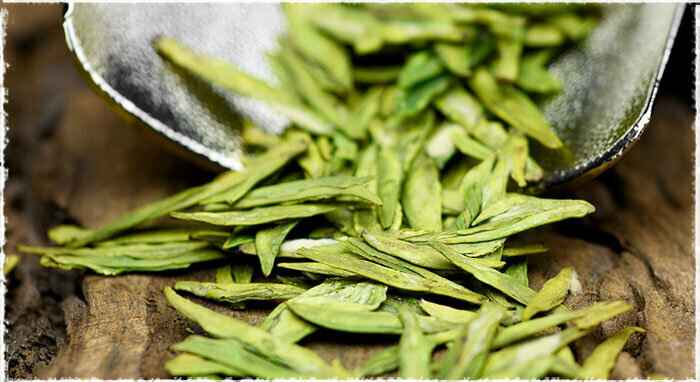 Those fleshy, greenish tea buds/leaves not only taste delicious but also look attractive. The topic of tea benefit has been better treated in many articles and almost all comments are positive (You can hardly find downside about them). Although it is perfect, here still have some tips for you to remember. From the point of nutrition, the caffeine, alkaloid, aromatic substance contained in tea leaves may excite central nervous system and cause some tiny troubles to people who are suffering neurasthenia and cardiovascular and cerebrovascular diseases. In addition, the higher level content of oxidized polyphenol and aldehydes materials in leaves may stimulate the gastrointestinal tract and cause symptoms such as stomachache, gasteremphraxis, constipation and dry mouth for chronic gastroenteritis victim. 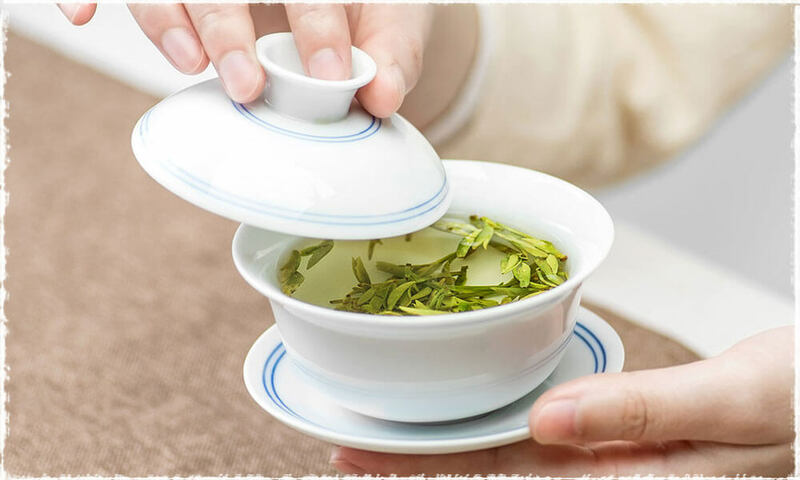 So, the first and important thing you need to do is not drinking them immediately, some experts say, spring tea contains higher level of polyphenols and needs to be undergone the process of auto-oxidation to decrease the risk of causing stimulation in gastrointestinal tract. 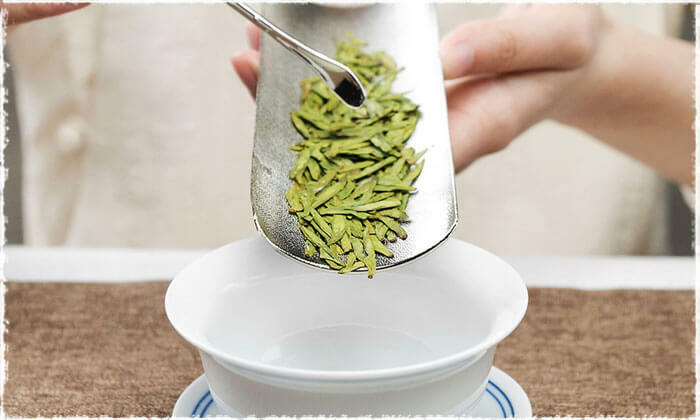 At first, it needs you to make sure that your teas are stored in dry conditions to prevent mildew and maintain taste. A new question arises when comes into the choice which tea (as you know, there are more than hundreds of teas are in the markets) is the best. Some may prefer green or black tea but others may think they are not delicious as flower tea or oolong tea. This question is so variable and complicated that we can’t give you a definite answer. 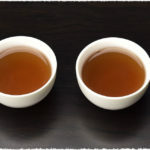 As far as health effects concerned, black tea is good for physical weakness and it’s more beneficial if brewed with some sugar, while green tea is always good for young people and black, Pu-erh as well as oolong tea contributes to weight loss. Tea polyphenols has a strong resistance to oxidation and biological activities and can regarded as the killer or scavenger to help human body to fight against free radical which is always trying to steal your youth. You may never heard the word free radicals before or don&apos;t know what they could do to your body. Generally speaking, we are living in a world consists of atoms which can be combined to form a new stable structure with the help of electrons outside as required by the timeless law of nature. Each electron is supposed to be evenly paired. But they are not always paired for some reasons/damage. When this happens, a free radical is formed. Think of it this way – an electron turns “evil “and tries to steal an electron from a neighboring cell. The neighboring cell just got an electron stolen from him, so now he is uneven and needs to steal one from the cell next to him. Free radical damage as you can imagine, this starts a chain reaction within the cell. If this goes on for long enough it can cause severe damage to that cell, and even kill it. Now, here comes the helper – antioxidants found in tea leaves can be imagined as a keeper or tinker against free radical. They work in this way – by “donating “one of their electrons to the cell in need to stabilize the molecule and stop the vicious chain reaction. And the most amazing part is that antioxidants don’t “turn evil”, because they are stable in either form. Help reduce the risk of heart attack and stroke. Factors such as the accumulation of cholesterol and blood fat, high blood pressure and lacking of exercise etc. can lead to your blood vessel clogged by unwanted blood cotes formed from cholesterol and blood platelets. What’s worse, they can cause heart attack and stroke. It seems that you need helper to clean your tiny drains. TP (tea polyphenol) and especially catechinic acid performs well in lipid-decreasing and dilating blood vessel even “repairing “the damaged part. Some study also found a 70 percent lower risk of fatal heart attack in people who drank at least two to three cups of black tea daily compared to non-tea drinkers. Tea helps keep you hydrated. Caffeinated beverages, including tea, used to be on the list of beverages that didn&apos;t contribute to our daily fluid needs. Since caffeine is a diuretic and makes us pee more, the thought was that caffeinated beverages couldn&apos;t contribute to our overall fluid requirement. However, recent research has shown that the caffeine really doesn&apos;t matter — tea and other caffeinated beverages definitely contribute to our fluid needs. The only time the caffeine becomes a problem as far as fluid is concerned is when you drink more than five or six cups of a caffeinated beverage at one time. Lots of people complain about a slow metabolic rate and their inability to lose weight. Green tea has been shown to actually increase metabolic rate so that you can burn 70 to 80 additional calories by drinking just five cups of green tea per day. Over a year&apos;s time you could lose eight pounds just by drinking green tea. Of course, taking a 15-minute walk every day will also burn calories. You can roughly find whether they are fresh by examining its shape and color with your eyes. Green tea as an example, new green tea of good quality tends to be greenish (near to the color of fresh leaves) rather than dull or dark in color. Under the same conditions, bend or twisted leaves taste richer and more flavorful than tea leaves in straight and flat shape, however this is not always right, and the latter two can present a good looking in glass cup. 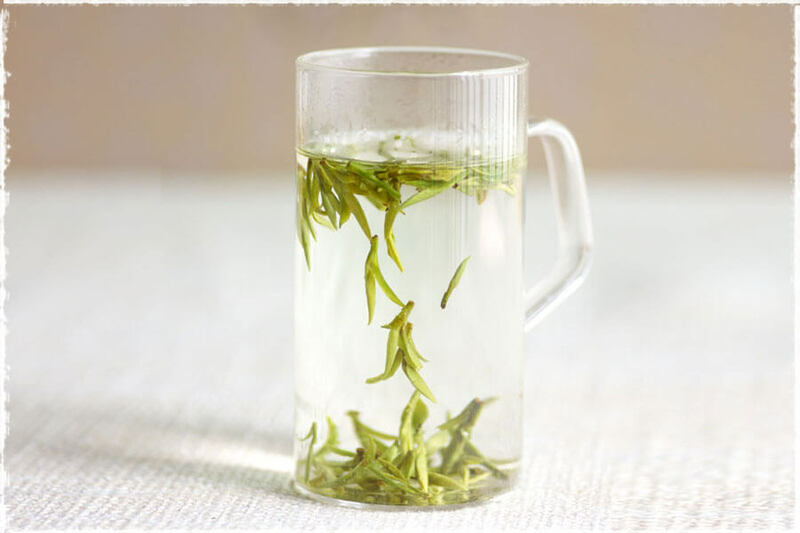 In addition, good spring tea should be neat without too much short and broken leaves. As some seasoned tea lovers usually do when choosing loose tea, they like to rub tea leaves slightly with their thumb, index finger and middle finger to feel their quality. It is also called hand feeling. Normally, Leaves in good condition should be dry and crisp to touch, if not, they might be low-grade or already affected with damp. Besides, by touching you can also get some useful information about taste. 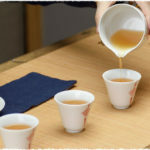 Those teas having “heavy body“hand-feeling are rich in nutrients which make tea flavorful and rich. Dry leaves, particularly fresh spring tea exposed in open-air conditions are vulnerable to odors (such as gasoline, mildew, car exhaust cigarette smell) when in procession or transit, etc. Take a deep breath to smell them slowly, if any pungent or unpleasant odor can be identified, it tends to be a polluted one. You’d better to say good day to them! Sometimes, if allowed you can brew a cup of tea with the tea you want to buy. This way is reliable, comprehensive and persuasive. Looking them, tasting them and feeling them, you can easily figure out what you really want and what you dislike. Most noteworthy is the tea residues which are sometimes discarded without thought by drinkers. If those residues are good in shape and have considerable buds, they really add some positive points to this tea. After reading above, you may have some knowledge about spring tea. Although spring teas are abundant in vitamins and amino-acids and have good taste, they are priced very high because of low output. So please remember: It&apos;s best only when it fits you.